Ask us about the best digital camera for your application. Call to discuss the right model for you. We offer all digital microscopy camera kits from PixeLink including the new PL-E400 CMOS USB 2.0 cameras (top, at right). That includes the latest kits in the PL-B600 CMOS (middle, right) & PL-B800 CCD series of digital cameras for microscopy (with either USB or Firewire interfaces). 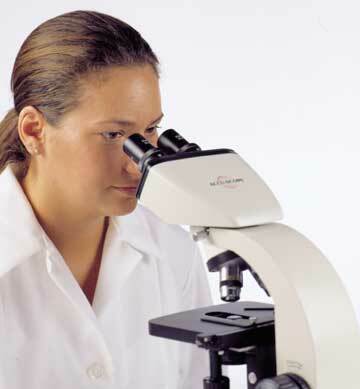 PixeLINK products will provide you with the most value for your high-quality science applications. These cameras and software are tailored to high-productivity image acquisition applications where consistent quality and performance is expected and is an effective solution to any laboratory. PixeLink's advantage comes from reducing overall system complexity and cost. It has embraced standard computer interface technologies including FireWire and USB, and provides drivers and software on the host computer that effectively eliminate the need for a frame-grabber while enabling advanced camera functionality. 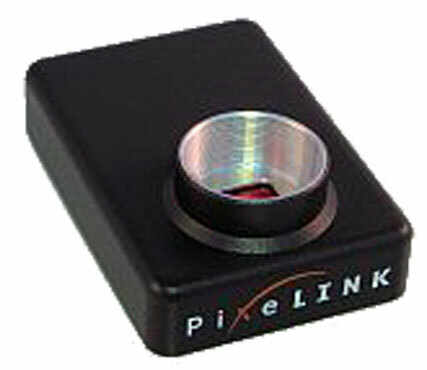 PixeLINK µScope Microscopy Software is included with each camera kit. This is a real-time, interactive application designed specifically for microscopy to capture, save, annotate and measure still images.